The KS3 curriculum is mainly weighted towards information technology with an emphasis on delivering project based learning that is pupil centred. The focus is on the creative and productive use and application of computer applications, including considerations of E-safety. 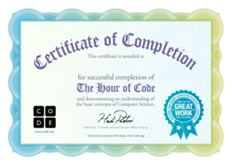 In addition pupils are introduced to Computer Science through ‘The Hour of Code’. This is a series of lessons designed to demystify computer science and demonstrate how anybody can learn the basics. Each student gets a certificate when they complete the course. The curriculum contains project based learning which is tailored to individual pupil interests and needs. Project based learning is an inclusive approach to teaching and learning and promotes cross-curricular themes. Whole school projects, competitions and homework tasks all have a significant role to play in the teaching of IT at KS3. The use of image editing software takes pupils beyond the more functional aspects of digital literacy by introducing them to the creative and imaginative possibilities of technology. We have found that this approach to teaching and learning has improved attainment in the subject. 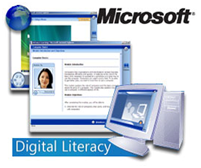 Simple use of office applications such as word processing, presentations, publisher and spreadsheets. Use of the internet, including browsing, searching and creating content for the Web. 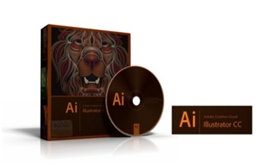 Image editing software and vector graphic software through the use of Adobe Photoshop and Adobe Illustrator. This software is industry recognised and provides an excellent medium for art and design within the teaching of IT. E-safety is firmly embedded in the teaching of IT and relates to the adoption of safe and responsible working practices in using technologies. All pupils follow the BCS, The Chartered Institute for IT Level 1 E-Safety qualification with the opportunity of taking a live test and gaining the qualification.